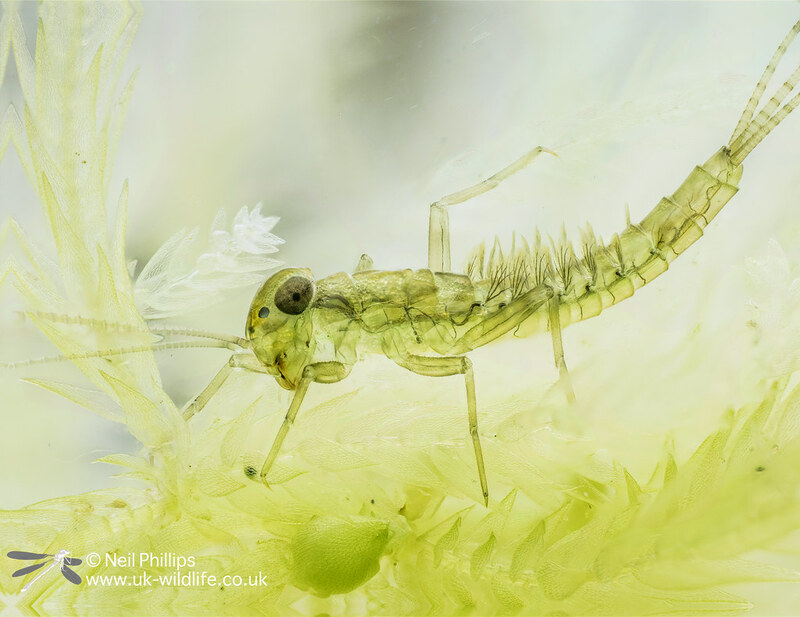 After good feedback on some stacked images, over the last few months I have been trying to get close ups of various pond creatures using a technique known as stacking. For those that don’t know this involves taking a number of images focused at different focus distances, the in focus parts of each image are then merged together to give one image with a large depth of field. Traditionally this involved taking a photo of the closest part of the subject then slowly moving the camera forward, usually on a focus rail, taking another photo and so on. My Olympus EM1 Mark II has a feature called focus bracketing where it instead takes a photo and then refocuses slightly further along, before taking another photo and so on, for up to 99 images, automating the whole image taking part of the process. 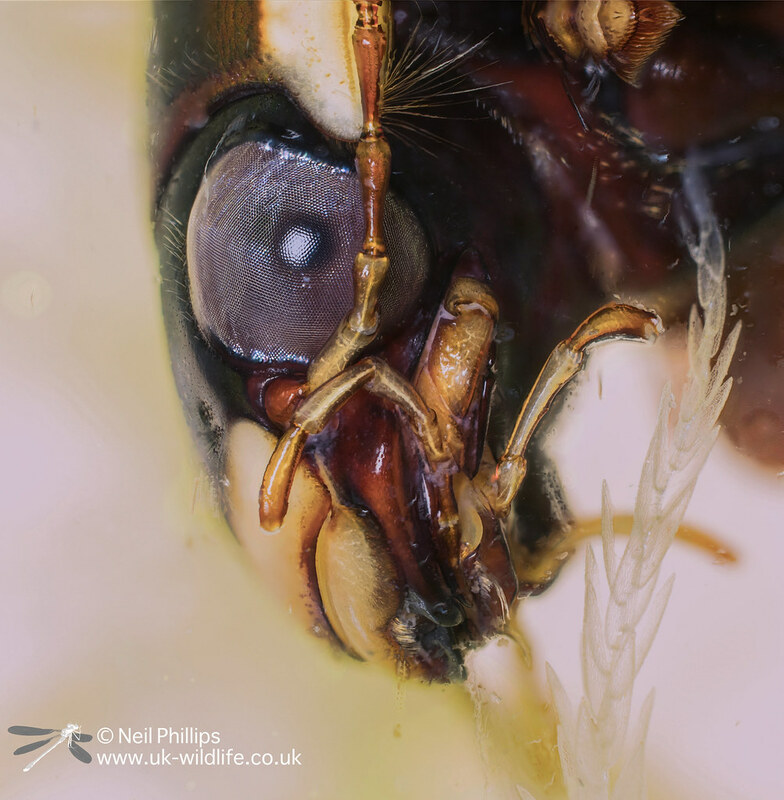 I have found using a continuous LED video light enables me to get the images quickly enough to avoid the subject moving before the sequence is finished (well some of the time at least). 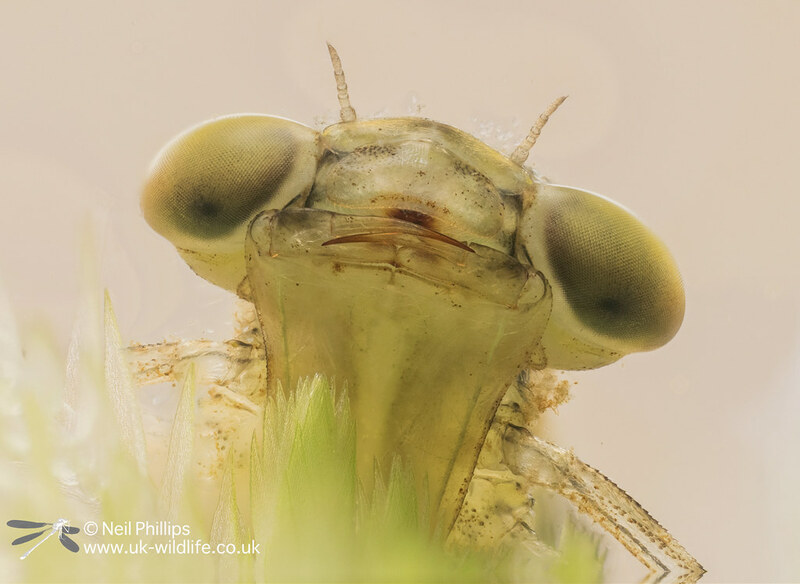 This pond olive mayfly sat still for 99 shots. I then stacked it in CombineZM, free stacking software. 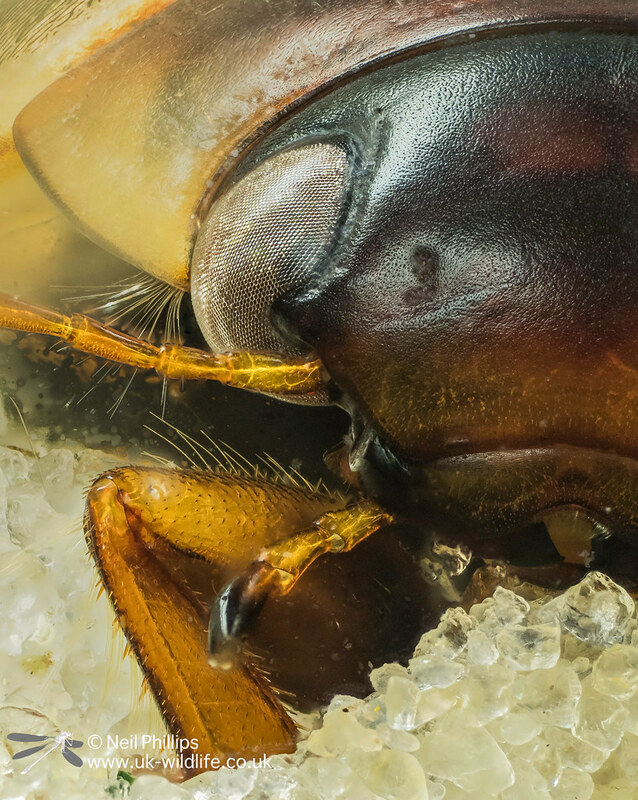 This saucerbug sat still long enough for this close up. 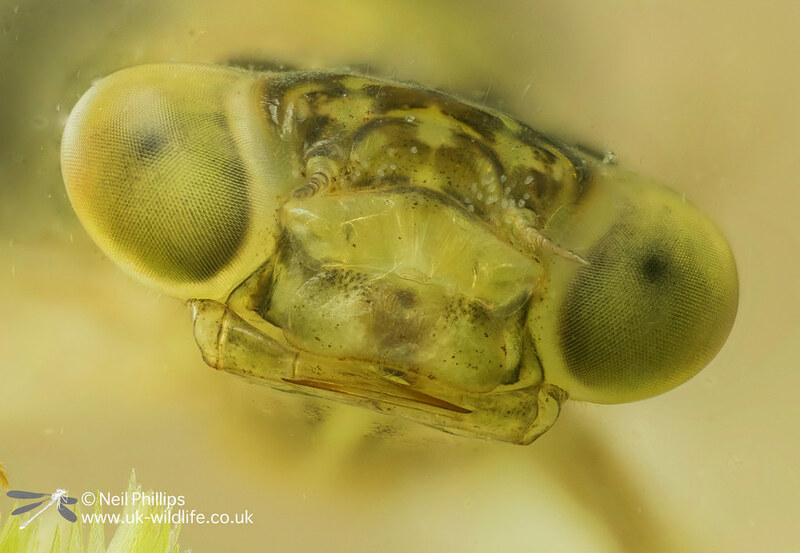 The emperor dragonfly nymph posed in a couple of positions long enough for stacked images. 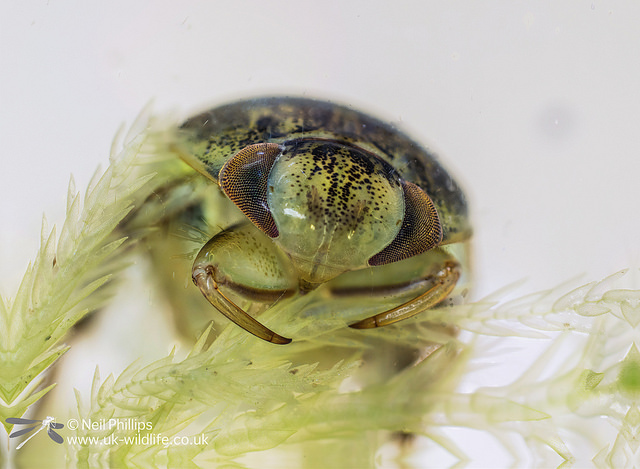 I attempted a few close up on this black bellied diving beetle (Dytiscus semisulcatus) and succeeded with a couple. 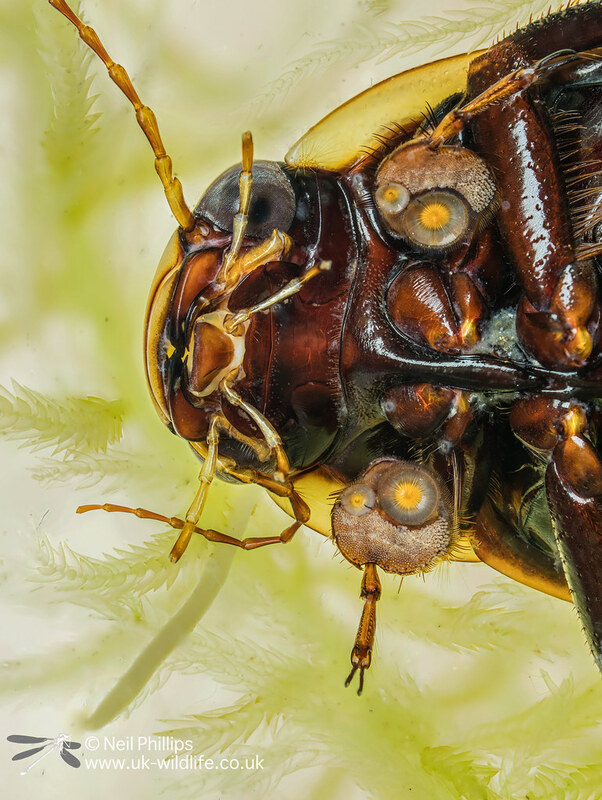 This male clung to the glass enabling a stack that showed the detail of it’s leg suckers and the underside of its head and body. 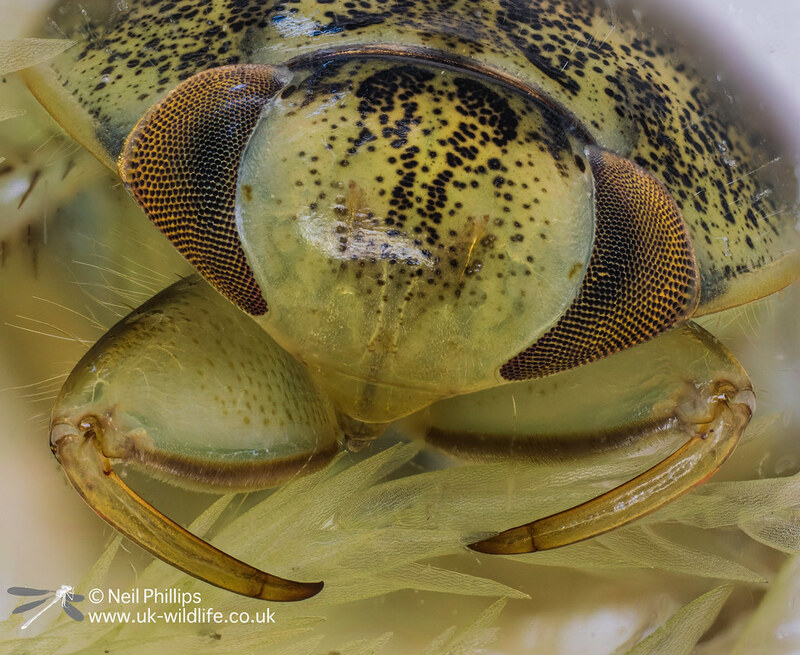 I got really close up to this Colymbetes fuscus diving beetle when it tucked in by the glass of the aquarium. I’ve had some time to play with this set up and the bracketing/stacking feature and there is real potential for some nicely detailed shots. Now spring is here I will be trying it with some terrestrial invertebrate species and hopefully some reptiles and what ever else sits still long enough!